illustrates Beleram’s critical role as strategic component for players of this 3 player co-op action RPG. In the war brewing in Northern Middle-earth, the strategic alliance with Beleram cannot be underestimated. 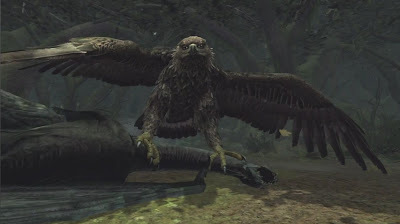 Ripping enemies limb from limb, grabbing foes in his talons and flinging them off cliffs, destroying enemy structures and taking to the air in defence of the Fellowship; while Beleram cannot be tamed or owned, his strength can be called upon to save the North of Middle-earth. Closing with a final image of the eagle smiting a foul Fell Beast, Beleram is one of a handful of heroes that stand in Sauron’s path in the North.